FINTECH entrepreneur Greg Daily of i3 Verticals has completed 16 buy-side transactions and amassed a roughly 200-person headcount since forming his latest company less than five years ago. Daily said 11 of his buys have been small businesses, plus he's done 5 deals mainly in pursuit of technologies. He said he probably examines 50 to 100 pitch decks each year, and figures he has at least 30 dinners-out each year with entrepreneurs and their spouses -- yet, out of all that effort "4 or 5" transactions get done. In the current environment, he said he often encounters seller valuation expectations that he views as not well-founded and not satisfactory for a disciplined buyer such as himself. He said his board supports his disciplined approach, and faster deal-making is not imperative. Daily said previous raises and his now-$100MM credit facility represent "plenty of capital" for the company's needs. Still, when asked whether he is approached by investors, he said with a well-tanned smile that he has raised a good bit of capital locally and always welcomes a good conversation. 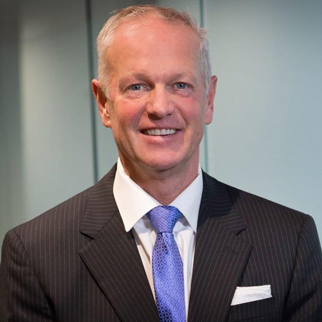 Notably, his board of directors includes executives with Harbert Mezzanine, First Avenue Partners, Fidelity Capital Management and Capital Alignment Partners. Though Daily and his company are well grounded in merchant payment services, it's expanded fintech solutions that now seems to have more of his interest. In line with that, he said he's eager to hear about independent software vendors (ISVs) with whom his company might integrate and share revenue generated by access to each ISV's installed base. 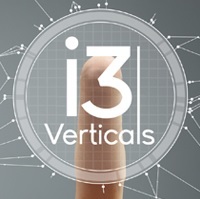 i3Verticals is operating in eight verticals and Daily said he's likely to enter only two new verticals in the foreseeable future, with a preference for B2B opportunities. By way of example, he said he's exploring opportunities to enter the Fundraising sector, but has little interest in expanding in Retail, Airlines, Restaurants, Government and others. He said opportunities with ISVs and M&A targets tend to be based elsewhere in the nation. Even though Nashville is a healthcare-services and healthIT watering-hole, for example, his key healthcare-sector partner right now is California-based, he said. In any event, he said, he doesn't want to be part of a take-no-prisoners roll-up campaign and has little interest in very large "transformative" buys, because integration and accretiveness can fall victim to such processes. He added, "We've got a machine in-place, we won't screw it up." The company's merchant sectors include B2B, e-Commerce, Education, Healthcare, Municipality, Nonprofit, Property Management, Retail and Hospitality, according to its website. And, its tech solutions span Event Management, Payment Gateways, Gift & Loyalty Programs, K-12 Schools, Online Payment, Payment Processing, Point of Sale, and Rental Property, the company says. Choosing i3's next verticals for entry is but one open item on Daily's to-do list. For example, he said he has also begun talking with branding agencies about the pro's and con's of having one overarching brand for his enterprise, versus letting acquired brands persist. "The jury's out" on that, and arguments can be made both ways, he said. Also, although he's made clear in the past that an IPO remains an eventual option for his company, Daily emphasized that he is committed to doing right by his employees. Most of his 200 employees have come via acquisitions. Consequently, only about 20 are based in Nashville, he said. Companywide, he expects to add perhaps 20 sales people to his ranks in the next 12 months. Noting that he has "a great team," Daily said that his employees are a major reason he'll "still be the one turning out the lights" each evening, far into the future. He explained that direct hires and employees who came via M&A have joined because of i3Verticals' plans and its "story," and because of his previous companies' operational track records. Daily's gratitude for his current team was evident, but his tone seemed to turn darker when he explained that, while he personally had done well enough upon exiting two earlier companies that he founded and took public, many of the employees in those companies did not fare so well after changes of control. The companies were PMT Services and iPayment. PMT Services was sold to Atlanta-based Nova Corp. in a 1998 transaction valued at $1.3BN. Nova Corp later sold to U.S. Bancorp for $2.1BN. iPayment returned to private ranks just three years after it debuted on Nasdaq. While associated with iPayment, Daily was among parties embroiled over a period of years in multifront ligitation and bankruptcy-court filings. His creation of i3Verticals (originally Charge Payments LLC) followed in the wake of his exit from iPayment.